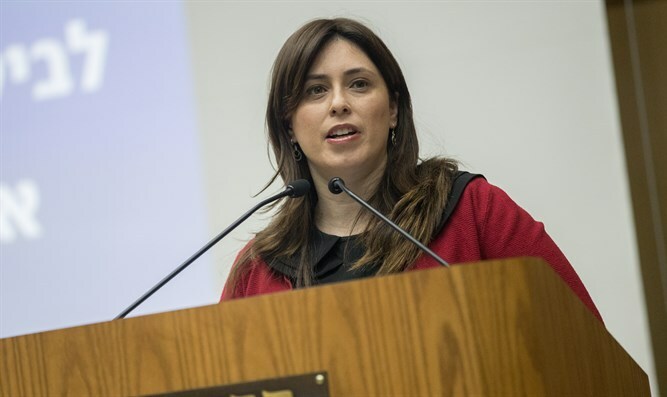 Deputy Foreign Minister Tzipi Hotovely spoke to Arutz Sheva Thursday regarding her recent interview with i24 regarding American Jewry, and the subsequent controversy sparked by some of her comments. In an interview with i24 on Wednesday, Hotovely said she has used her position to try to bring American Jews closer to Israel, and hopes that more Jews from North America immigrate to the Jewish state. Hotovely added, however, that there is growing tension between Israel and Diaspora Jewry, stemming from, she claimed, a lack of understanding regarding the complexities of the geopolitical situation. “The other issue is not understanding the complexity of the region,” she said. “Most [American] Jews don’t have children serving as soldiers, going to the Marines, going to Afghanistan, or to Iraq. Most of them are having [sic] quite comfortable lives. They don’t feel how it feels to be attacked by rockets, and I think part of it is to actually experience what Israel deals with on a daily basis. In conversation with Arutz Sheva, Hotovely said she wished to clarify the matter. "The thing that is most important to me in the end to convey as a message from today on is that American Jewry is important to me. I did not go all the way to the United States to speak with the younger generation because this Jewry is not important to me. It is an important and glorious Jewish community. We all understand that the connection with Israel is one of the pillars of our relationship with the Diaspora." "I think that part of our ability to understand them and and their ability to understand us, lies in really understanding how a country a conducts itself in a difficult region, in which daily life is often hard because of wars and missile attacks." "At no point did I mean for things to be said in a hurtful manner. I really meant to say that we have a family here that is in some sort of conflict, and we have to talk within the home about what hurts them and what hurts here. I see here a desire, through this case of someone who comes from the government and wants to talk and be talked to, to exploit it for political purposes." According to Hotovely, the connection between Israel and American Jewry goes beyond politics: "It's something within the family that needs to be spoken about openly - and that's the message I gave in interviews." The statements you made were at times harsh. You must understand where the anger came from. "I meant to say something simple. I wanted to say that living in a tiny country surrounded by hostile territory is not like the life of a huge country whose wars are far from the country's borders. Does anyone really think there is a similarity between the life of an American Jew and the life of an Israeli in Israel? There is no similarity. But we are a family - and a family has to understand each other. " Were you surprised by the intensity of the criticism? And what about the criticism from the Prime Minister? "On the political level, the Prime Minister really cares about Diaspora Jewry and I think he is right. I do not know if I was surprised, but it was important to me that the message to American Jewry be familial and not, Heaven forbid, a hostile message. " In the afternoon there was talk that the Prime Minister was considering removing you. Do you know anything about that? "I really did not hear about it, I heard about it from the media, I did not hear about it from someone in the Prime Minister's Office." So you can say that your relations with Netanyahu are normal. "I cannot say that today they are completely normal, but overall it's a working relationship." And the crisis is already behind you? "From my point of view, I did not see a reason for a crisis here, but an opportunity to call for dialogue with Diaspora Jewry, and especially with American Jewry."